Susan Salter-Reynolds wrote in The Daily Beast, “This great crescendo of a novel is worth the ten-year wait. 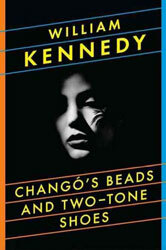 Kennedy has woven all his visions, all his orphans and widows, all his demons, all his politics, lust and bloodlust, fears and hopes for America and mankind, hero worship, father figures, disappointments and action figures into it … The power of Kennedy’s prose lies in his contrapuntal rhythm—dizzying dialogue followed by understatement so lean it feels like sarcasm, followed by speed, exaggeration, magic, Santeria. He writes a wild death-dance to which every mythical figure is invited—they parade across the pages. The fast and slow creates a tension, points of heat in the novel (love, sorrow, torture) and valleys full of cold air (politics, growing old in Albany, the impossible elusiveness of the ‘normal’ American life) … "